The Black Panther film cannot get here soon enough, and fans have provided more proof of this, as Fandango announced today that the forthcoming film now holds the record for pre-sale tickets sold for any Marvel Cinematic Universe film in its first 24 hours. The previous record was held by 2016’s Captain America: Civil War. Black Panther pre-sale tickets were made available on the evening of Jan. 8, the same day that the film’s latest trailer dropped during the NCAA National Championship game. The announcement was made on Twitter by Erik Davis, managing editor of Fandango, and while he did not divulge the amount of tickets sold, Davis did tout the extreme amount of hype that Black Panther has generated. 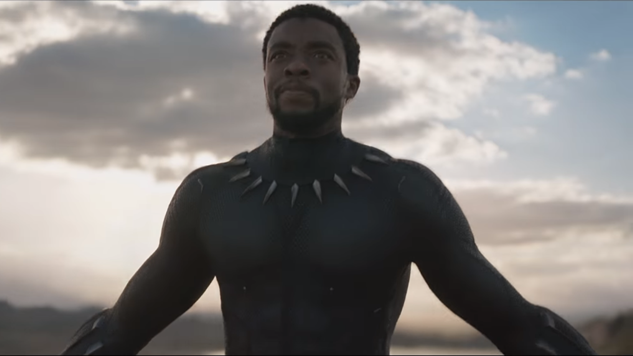 “Black Panther is riding an incredible wave of momentum right now … It’s one of the biggest and most anticipated movies to ever open in the month of February, and its trailers have electrified the Internet,” said Davis in a statement. Fortunately, we won’t have to wait too much longer, as the film is set for release on Feb. 16. Until then, check out the latest trailer again and keep bumping that Kendrick soundtrack.